I love watching post apocalyptic movies – when they are good movies! The movie should take place in the future (beyond the production date of the movie). It can take place before the apocalyptic event, if part of it takes place after the apocalyptic event. Pre-apocalyptic or apocalyptic only movies haven’t been included in this list, if there is nothing post-apocalyptic related. 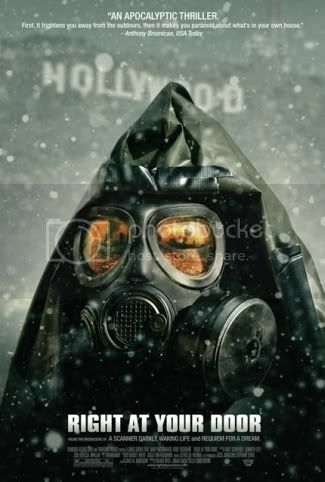 All post-apocalyptic scenarios are allowed: nuclear warfare and fallout, zombies, extraterrestrial attack, virus and pandemic, environmental and climate change and disaster, impact event, cybernetic revolt, dysgenics, supernatural phenomena, divine judgement, resource depletion, economic/financial/ecological collapse etc. Here below is the list, ordered by release year. 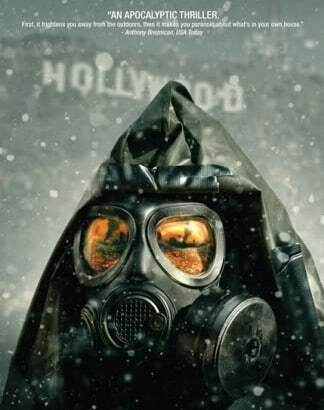 If you want to sort the list by other criteria, check my complete Post Apocalyptic Movies list at the Internet Movie Database (IMDB). Enjoy the treasure hunt! And feel free to come up with more movies to add, in the comments. It’s still a work in progress and I’ll keep it updated. Data courtesy of The Internet Movie Database. Why didn’t you list any of the left behind movies. Sorry, my bad. Upon reading the list a seconed time I see that you DO have Hell listed. How can I vote for it too? There’s also Arch Oboler’s 1951 film “Five”, which was firmly in the post-nuclear Apocalypse genre, and included James Anderson (“Bob Ewell” in “To Kill a Mockingbird”) as the heavy. Not a well-known movie nowadays, so it’s easy to miss. A cult classic that theatred 14 years inspiring Fallout and Road Warrior.